Swamy further averred that Sibal’s side hadn’t filed their documents, whereas his side is done with the formalities. 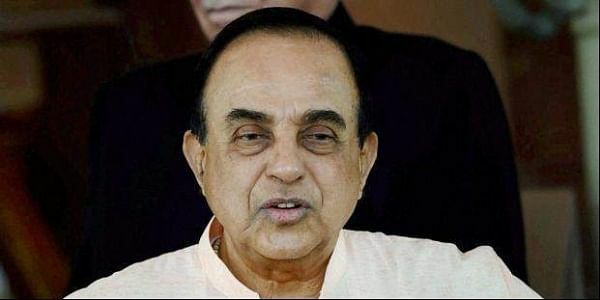 NEW DELHI: Bharatiya Janata Party (BJP) leader Subramanian Swamy on Wednesday castigated Congress leader and lawyer Kapil Sibal saying that the latter tried to give Ram temple case a political angle in the court. “He (Sibal) just gave his arguments on the political level, as they will lose the elections if they lose this case,” Swamy told ANI. Swamy further said that the hearing for Babri Masjid-Ram Janmbhoomi had begun where both parties had to put their positions before court, but Kapil Sibal said that the court cannot proceed since they have not received all the documents. “Kapil Sibal presented the view that this judgment would affect 2019 elections, which is why the verdict should be delayed till then. He tried to give political limelight to the case. They put many efforts to delay the hearing of the case,” he said. Yesterday, the Supreme Court fixed the next hearing for the long-standing Ayodhya dispute matter for February 8, 2018. Senior advocate Kapil Sibal, who is representing the Sunni Waqf Board, read out in the apex court the details of exhibits filed by the contesting defendants before the Allahabad High Court. Sibal told the three-judge bench of the court that all the exhibits were not filed before this court. Additional Solicitor General (ASG) Tushar Mehta, representing the state of Uttar Pradesh rebutted the averments of Kapil Sibal. The ASG also told the Supreme Court that all the related documents and requisite translation copies were on record.